Karen Larsen’s enthusiastic presentation of “Dancing at the Rascal Fair” was enjoyed by a responsive group at the Literature Forum March meeting. 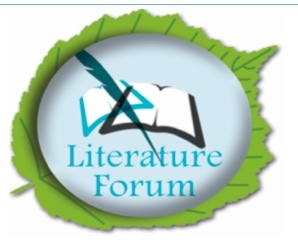 The Forum’s upcoming gathering on Thursday, April 12 will feature longtime presenter Davis Hammond leading a discussion of “Loving,” by English novelist Henry Green. Set during World War II in the vast hereditary Irish castle of the Tennants, an aristocratic Anglo-Irish family, the story is centered on their servants. The war had led to a scarcity of experienced staff, and when the butler dies the head footman, Raunce, is assigned his job. Raunce is left in charge of the house and struggles to control its disputatious inhabitants while hoping to secure the love of Edith, a fetching and flirtatious recent hire. In “Loving,” Henry Green explores the deeply precarious nature of ordinary life against the background of the larger world at war. All are welcome to attend the presentation at 2:00 p.m. in the Houghton Room of the Community Center. "Dancing at the Rascal Fair"